Country music history is ripe with tall tales and urban legends. Like roots music itself, many of these stories have stood the test of time. Some of these tales are far-fetched conspiracies, kept alive on the internet. Others are riddled with undeniable coincidences and unanswered questions regarding some of the genre's greatest stars. Are two of Music City's most famous sights still visited by literal specters of the past? Some visitors believe that Hank Williams still haunts the Grand Ole Opry, despite being banned months before his death. Others swear a mysterious man in a gray outfit watches rehearsals from a balcony, only to vanish before show time. A creepier story has Civil War soldiers haunting the Ernest Tubb Record Shop. The store's longtime location on Broadway formerly housed a military hospital. Rumors persist that "Battle of New Orleans" and "North to Alaska" singer Johnny Horton predicted his own demise. In one instance, Horton allegedly told fellow performer Merle Kilgore that he envisioned being killed by a drunken person. Weeks later, Horton and his band played the Skyline Club in Austin, Texas, which happened to be the final venue played by Hank Williams. The following night, on Nov. 4, 1960, an accident involving a drunk driver ended Horton's life. 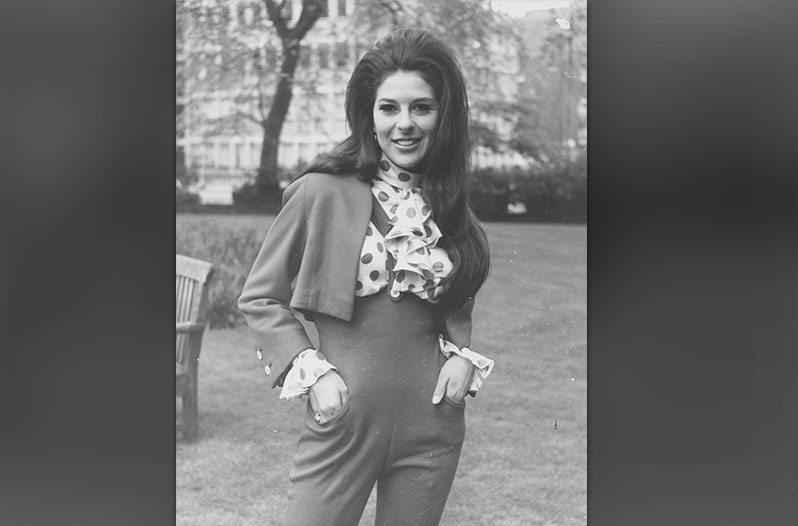 Bobbie Gentry became an instant crossover star in 1967 when "Ode to Billie Joe" unseated the Beatles' "All You Need Is Love" from the top of the pop charts. The song itself is shrouded in mystery. What made Billie Joe McAllister distressed enough to jump off the Tallahatchie Bridge? Rumors range from teen pregnancy to gay guilt. What's even more fascinating is Gentry's sudden and sustained departure from the music business. In the early 1980s, Gentry practically "ghosted" fans and the press. Such a graceful exit from the public eye might be impossible in the social media age. Country rocker Jim Sullivan mysteriously vanished on March 6, 1975. The 34-year-old singer and songwriter was headed cross-country to Nashville because his career had grown stagnant in his native California. He was last seen near a Santa Rosa, N.M. ranch, where his vehicle was discovered by authorities. The more believable rumors regarding Sullivan's disappearance range from small town police corruption to suicide. A fantastic and otherworldly theory views Sullivan's debut album UFO as a sign that he literally disappeared off the face of the earth. Not even the suave, unassuming Jim Reeves' legacy is immune to conspiracy theories. The singer might've known both Lee Harvey Oswald and Jack Ruby, as they were both regulars of Dallas bars that hosted Reeves' tour stops. Assuming of course that Reeves and Oswald weren't the same person. Further, federal agents allegedly took keen interest in a suitcase Reeves transported on the July 31, 1964 plane crash that took his life. Was Reeves a man who knew too much? Not likely. Perhaps the most far-fetched and obscure urban legend on YouTube claims that Patsy Cline and Jim Reeves' wife Mary were one and the same. Without explanation of a rational motive to live a double life, Cline is accused of faking her 1963 plane crash death. Also, conspiracy theorists seem really bent on denying Mary Reeves' individuality. A separate, equally asinine video claims she was Lee Harvey Oswald's mother. Gram Parsons Wrote "Wild Horses"
Although it's been all but debunked by Keith Richards himself, there's still rumors that the classic Richards/Jagger composition "Wild Horses" was secretly written by Gram Parsons. Richards and Parsons became fast friends in the late '60s and surely influenced each other as songwriters, which explains away the song's cosmic country vibe. What's likely muddying memories is the Flying Burrito Brothers cover of the song, sang by Parsons and released a year before Sticky Fingers. In a case of misunderstood lyrics, an internet rumor surfaced in 2002 claiming that Kid Rock truly was the "rebel son" of Hank Williams Jr. A collaboration between the two titled "The F-Word" from Williams' Almeria Club album caused the confusion. The rumor eventually led Hank III to serve his dad's rapper buddy an old school diss track on 2006's Straight to Hell titled "Not Everybody Likes Us."